San Diego’s innovation economy added 75 new technology companies and 695 jobs during the last three months of 2011, according to the Connect Innovation Report for the fourth quarter of 2011. New jobs created in San Diego’s innovation sector during the fourth quarter of 2011 accounted for more than half of the 1,182 jobs added across the spectrum of San Diego’s tech industries added throughout the year. The number of new jobs created during the quarter also was about 2.5 times the 195 jobs added during the fourth quarter of 2011. And it was about 2.5 times more than the 196 jobs created during the previous quarter in San Diego. 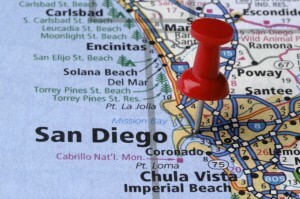 The quarterly Connect report, which can be found here, says patent activity for the San Diego area also hit an all-time high during the fourth quarter, local mergers and acquisitions doubled, and invested venture capital increased by 25 percent compared to the same quarter in 2010. The long-term trend in venture capital investing, however, has been declining. The report notes that over the past five years, for example, venture investing in San Diego has declined by roughly 46 percent (from the fourth quarter of 2007 to the fourth quarter of 2008). Venture capital investments declined in 2011 to $829 million, although it did surge in the fourth quarter, according to MoneyTree data reported by Pricewaterhouse Coopers, the National Venture Capital Association, and Thomson Reuters. For the year, Connect counted 109 new software companies, 67 new life sciences companies, 54 in communications, 21 in computers and electronics, and 42 new clean tech startups. Mergers and acquisition deals involving San Diego companies totaled $1.2 billion in the fourth quarter. For the year, Connect said M&A activity thrived in 2011, nearly doubling to $6.6 billion. Two San Diego companies went public in 2011, generating $729 million . The Connect report says San Diego hit a record for patents in the fourth quarter, with 1,215 being granted, compared to 940 in the fourth quarter of 2010. In addition, there were 1,702 patent applications in the fourth quarter, approaching the record of 1,725 set in the second quarter. Grants awarded to scientists by the National Institutes for Health (NIH) plunged by more than 75 percent, dropping in $67.5 million during the quarter from $277.6 million in the fourth quarter of 2010. In the previous quarter, the NIH awarded $275 million in grants to researchers in the San Diego area. The report attributes the dramatic drop to the NIH operating under a continuous resolution signed by President Obama in November that allowed the federal government to continue operating with an approved budget. The report says additional spending cuts are expected to further restrict NIH funding as the government’s efforts at deficit reduction are projected to bite deep into research grant awards.